After spending much of November and December with just two out-and-out strikers available, Saturday’s home match with Maidenhead will see three names vying to partner James Norwood. 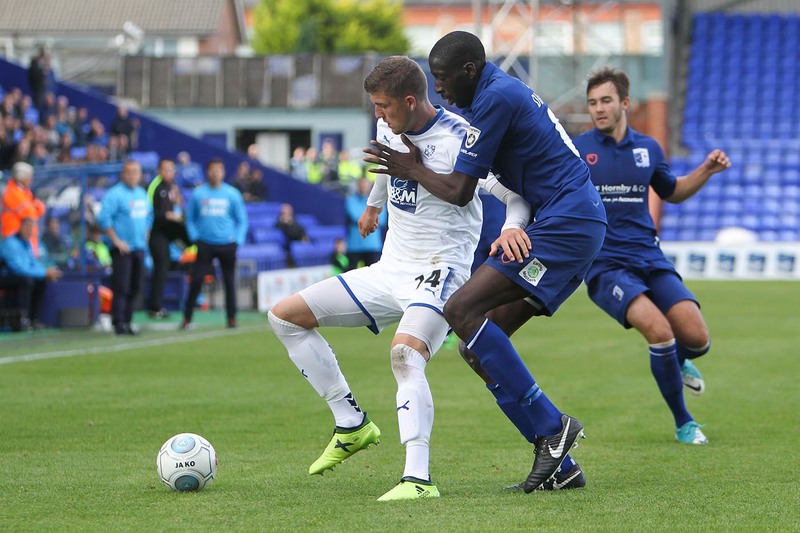 Andy Cook’s dismissal in the win at Woking last week is a significant loss for Tranmere going in to this weekend’s match, however with Andy Mangan, James Alabi and George Waring all back from their respective loan spells, they’re now fighting for a starting spot alongside Norwood. The strike trio have joined in training this week, with Alabi’s move to Ebbsfleet seemingly now not going ahead, and his loan with Dover cancelled. Waring also announced on Twitter that his loan at Halifax was over, while Mangan has not been able to secure a move elsewhere following his loan at Fylde. Given the slightly odd situation with Alabi, we’re going to guess that if any of the three do start on Saturday, then it may be George Waring. However, it’s also possible that Micky Mellon will opt to bring new loanee Josh Ginnelly in for his debut, perhaps pushing Larnell Cole or Connor Jennings in to a forward role to accommodate. Either way, this Saturday’s game is a must-win for Rovers having got themselves back in to contention with a run of six wins from eight league games. Crunch matches against Wrexham (away) and Macclesfield (home) also follow in the coming weeks.